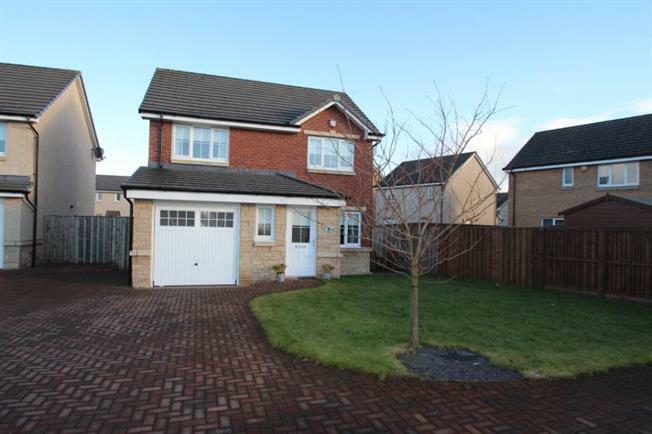 3 Bedroom Detached House For Sale in Airdrie for Offers Over £195,000. Occupying a quiet position within a cul-de-sac is this well presented modern detached villa. Bulit by Bellway Homes and forming part of thier Crystal Park Estate, The Rosebery house type extends to reception hallway,23' lounge/dining room,modern kitchen and downstairs cloaks/wc On the first floor there are three double bedrooms, the master having an en-suite showerroom and family bathroom.The property features gas central heating, double glazing and has a double monoblock driveway leading to an integral garage. There are large level, private rear gardens. Airdrie has a good selection of shops and schools at both primary and secondary level.Clarkston Primary School is within walking distance. Drumgelloch Train Station which provides direct access to both Glasgow and Edinburgh City Centres is located a short walk walk from the property.